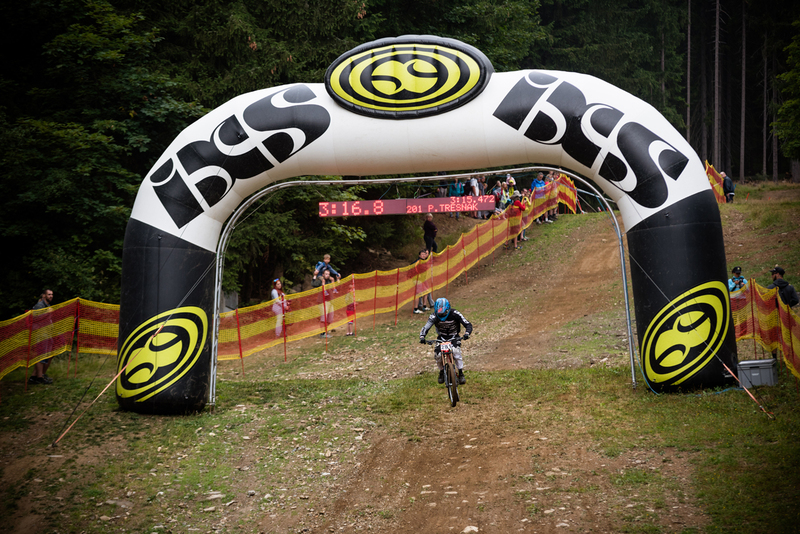 4th race of iXS Downhill Cup was held 14.-16.8. in Spicak, where 3 hundred athletes from the 25 different countries raced. Racetrack called “Struggle” got several changes and I can say that I definitely liked them. Even though the track is still specific for its tight turns and sharp stones. 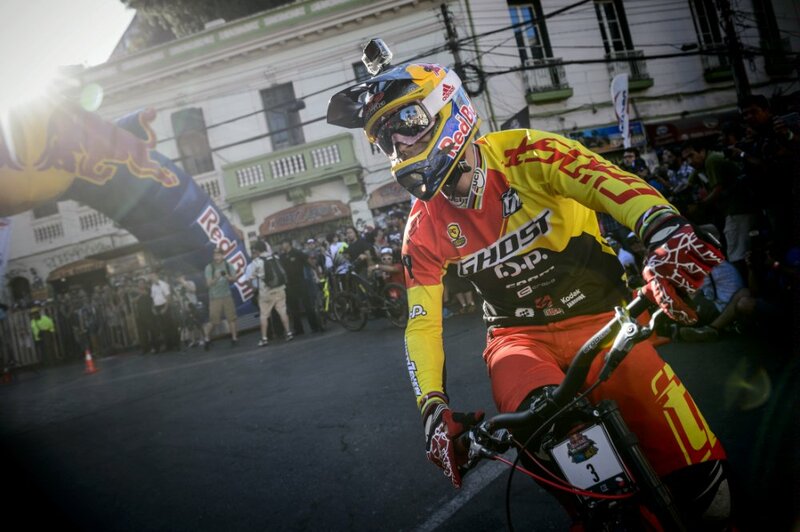 I didn’t ride well in Friday’s practice and I could not get into the pace. Loose stones and a thick layer of dust surprised me often. 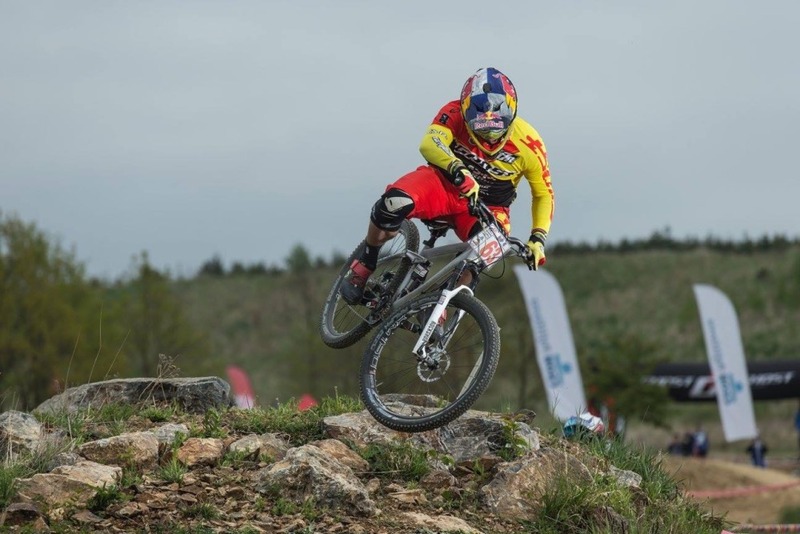 Qualification went on Saturday’s afternoon, in which you need to finish in top 30 to get into the main race – Superfinal. 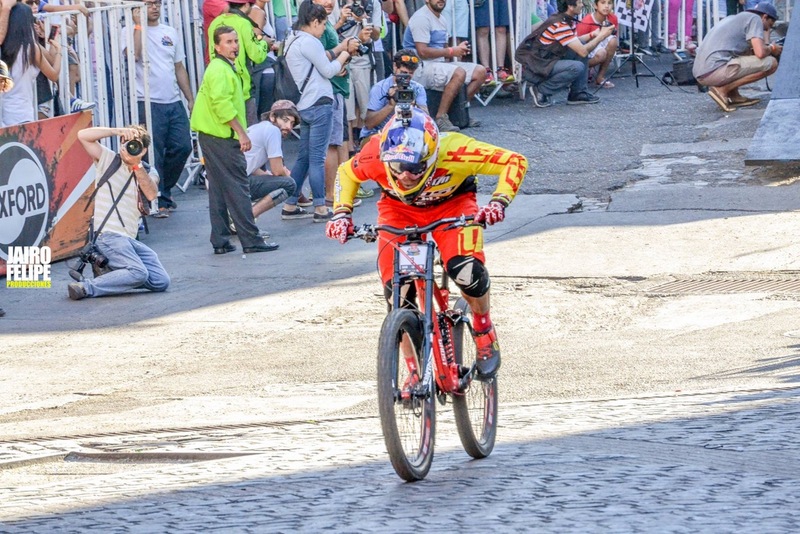 I had good training runs before the quali run but also crashed and got flat tire. In qualifying I rode safe but without major mistakes qualified from 17th place. 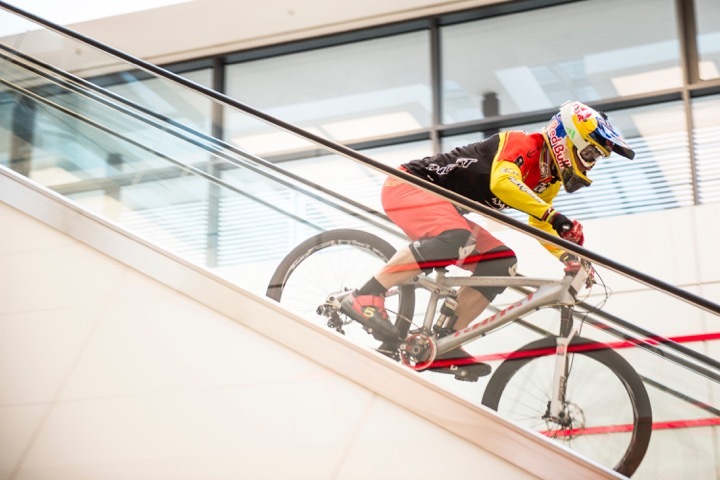 I tried few new lines in training runs before Sunday’s race and began preparation for the race. Even before the training ended it started to rain with the storm, which delayed the race for half an hour. Places that were under the trees in the forest or along were still dry but it was necessary to be careful on a few slippery places and some mud on the stones. My race run was good, I didn’t make any big mistakes and finished 6th which is good for me. 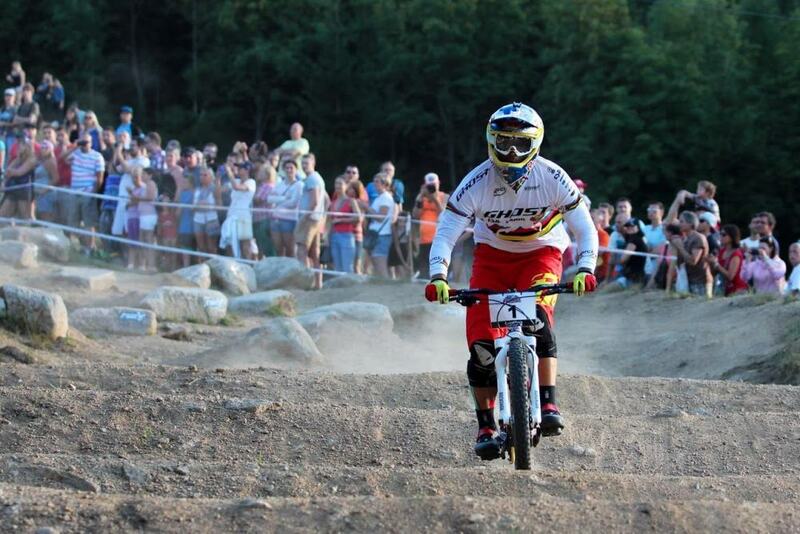 The next race is National Championship on 30th August in Liberec. Tomas Slavik did a hat trick and wins JBC 4X Revelations for third time! 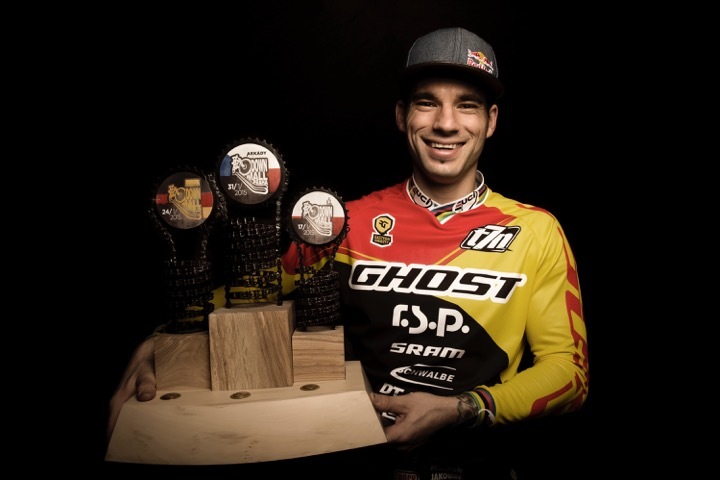 Unique fourcross show, the most difficult track, best riders, 10 000 spectators, fights elbow to elbow and one winner – Tomas Slavik did it again and took a third win in row at JBC 4X Revelations 2015 powered GHOST bikes! 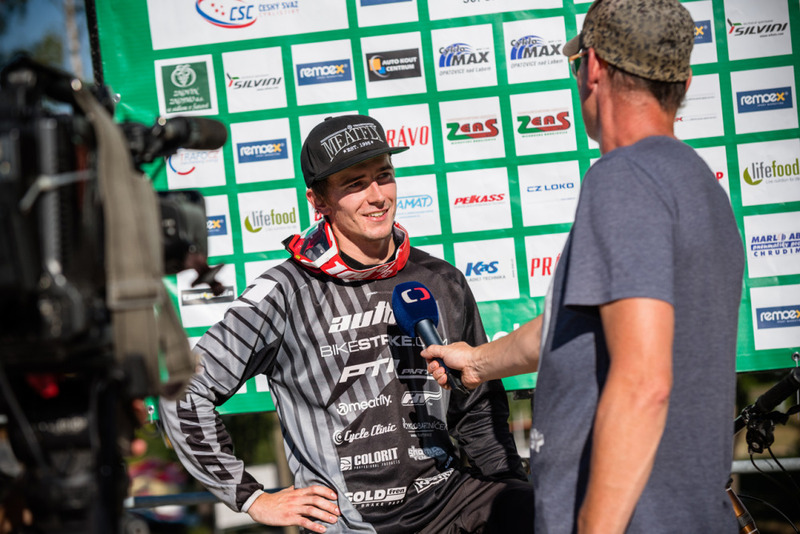 JBC 4X Revelations was long time expected by riders and fans, kind of a real diamond in between other fourcross races not just because of track difficulty, but basically because of everything what is making this event so special. 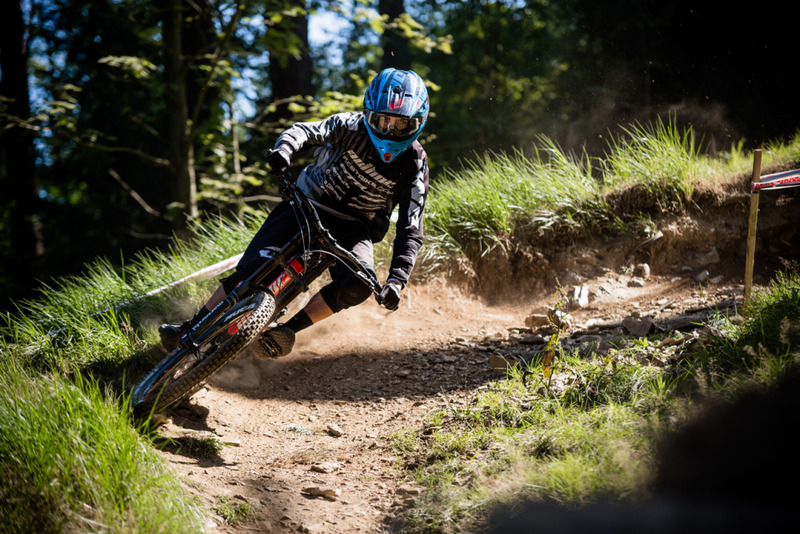 Revelations is a pilot event by Tomas Slavik which was created to “reveal” the real meaning and image of fourcross event from the view of a professional racer and organizer at the same time. 2015 really pushed the limits to the next level! Internet and other media are crushed by positive feedbacks. 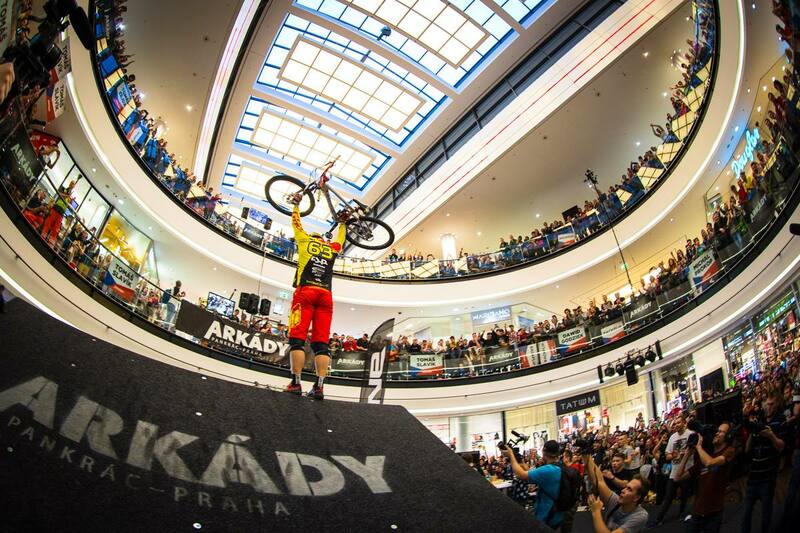 Spectators could see big jumps, fantastic fights, hard crashes, breathtaking show, amazing concerts, DJs and of course triumph of a hometown rider Tomas Slavik who took a win in front of 10 000 screaming spectators! What a ride! 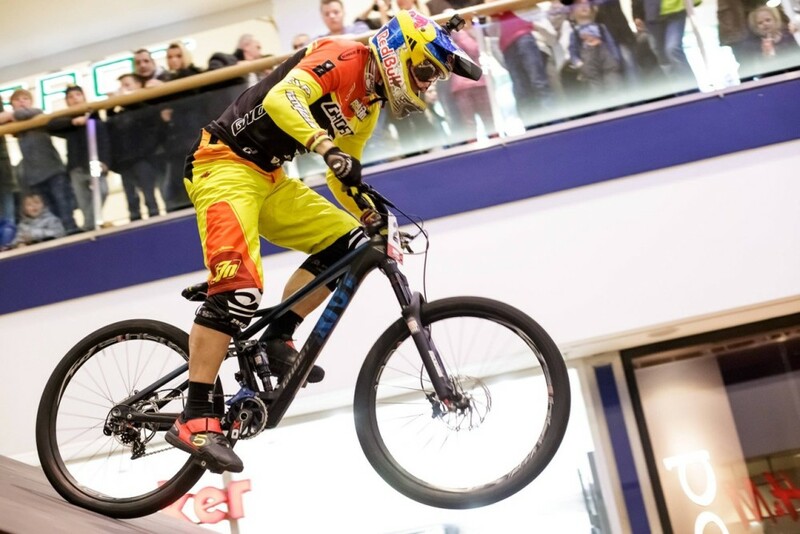 JBC 4X Revelations 2015 was legendary! 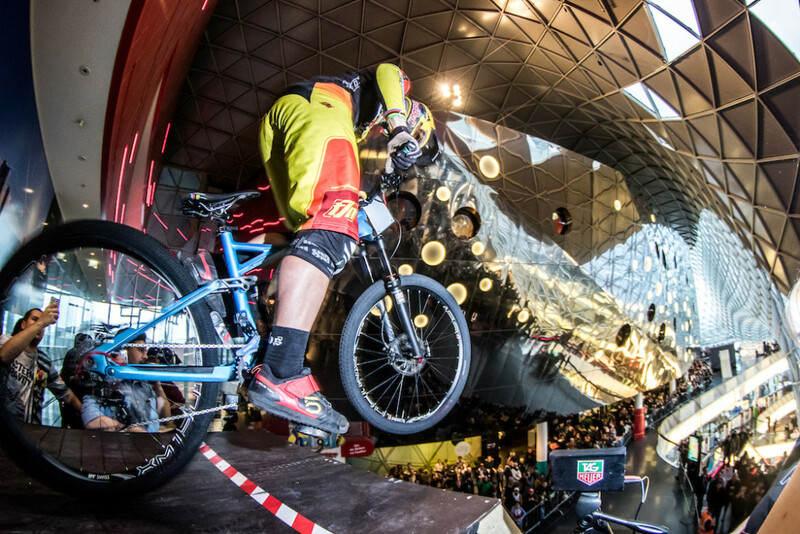 Expect official JBC 4X Revelations 2015 powered by GHOST bikes highlights video during today! Stay tuned! 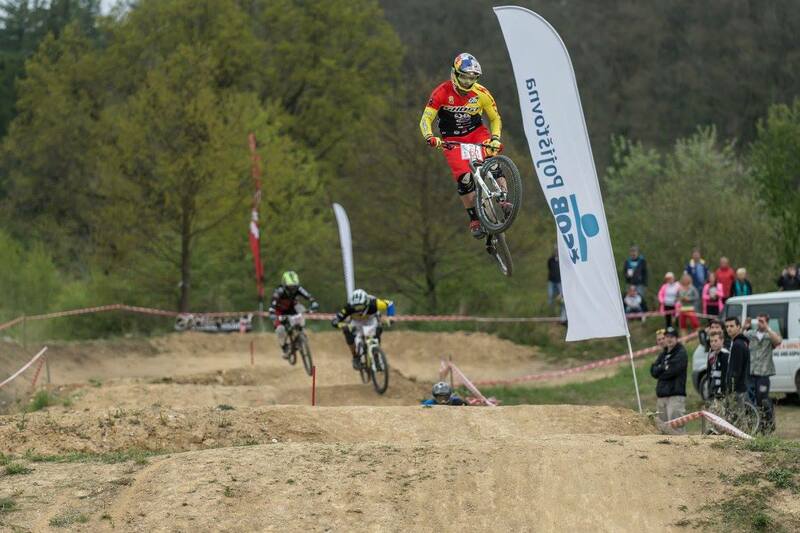 Czech Downhill Cup continued past weekend in Kouty nad Desnou. Track was really good prepared and overall there could be european race with no excuses. It was hot and sunny on Friday’s and Saturday’s practice and the track was really fast. 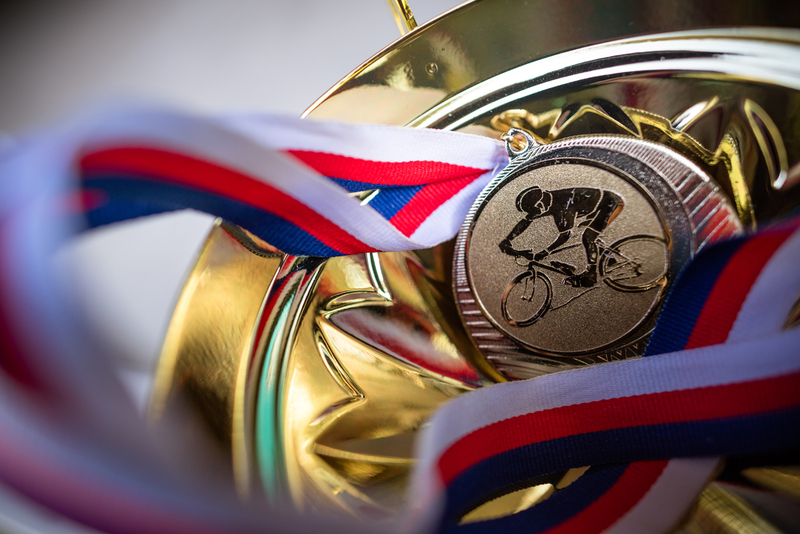 I enjoyed training runs and easily got into racing pace. At the end of Saturday’s practice the sky opened up and heavy rain began. Rain continued also on Sunday morning but stopped before the race and than the track was drying. In semifinal run I didn’t take big risk and finished second. Track was much drier for finals and noticeably faster. 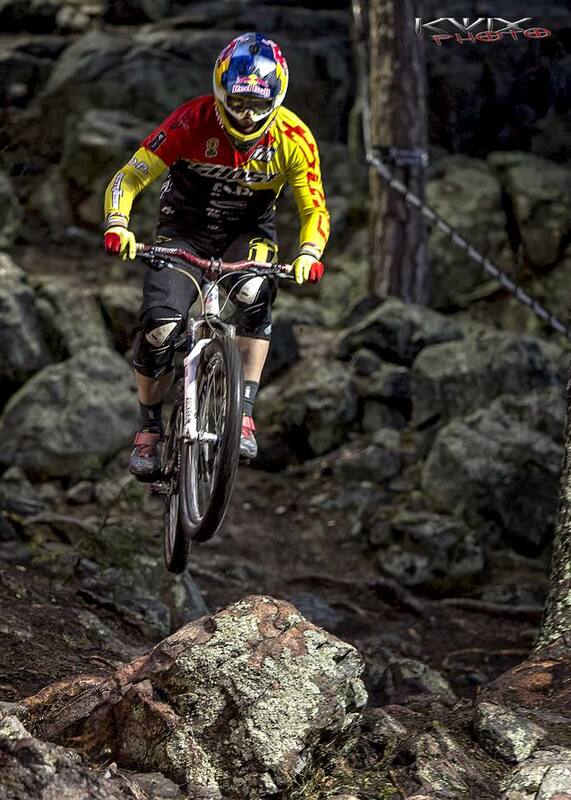 I was safe on slippery places in a dark forest and rode without major mistakes. Clean run paid off for me and I won this race. In overall ranking I am now on 2nd place with 3 point off the lead. 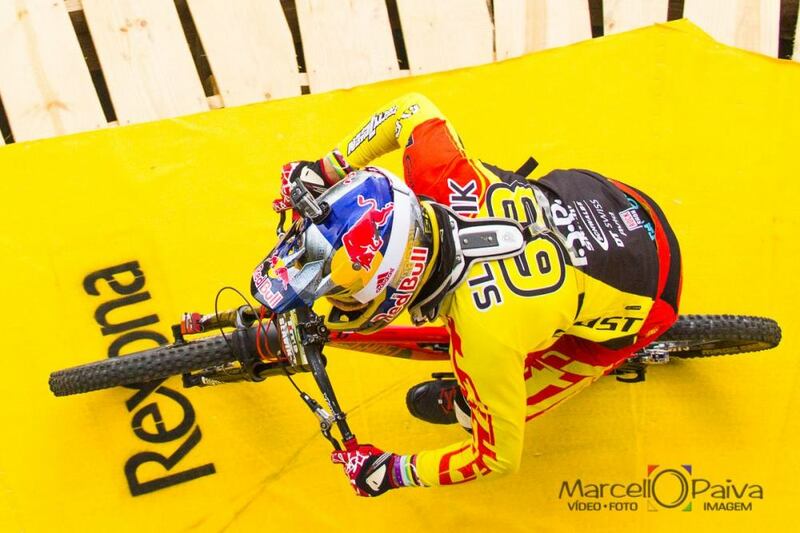 Next race I will do is the European Cup in Spicak CZE. 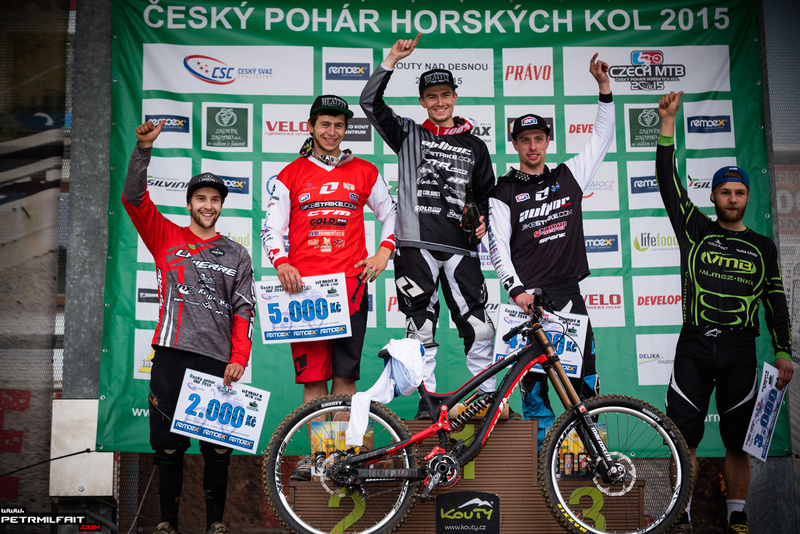 Last weekend it was season opener for czech series of Dual and 4X called GHOST Dual & 4X Cup. 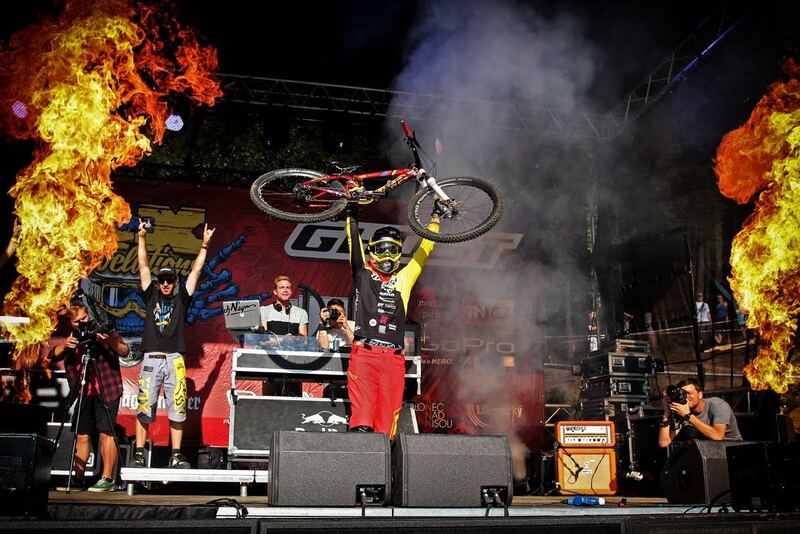 Tomas Slavik was there and took a win for GHOST bikes in both events – Dual and Fourcross. 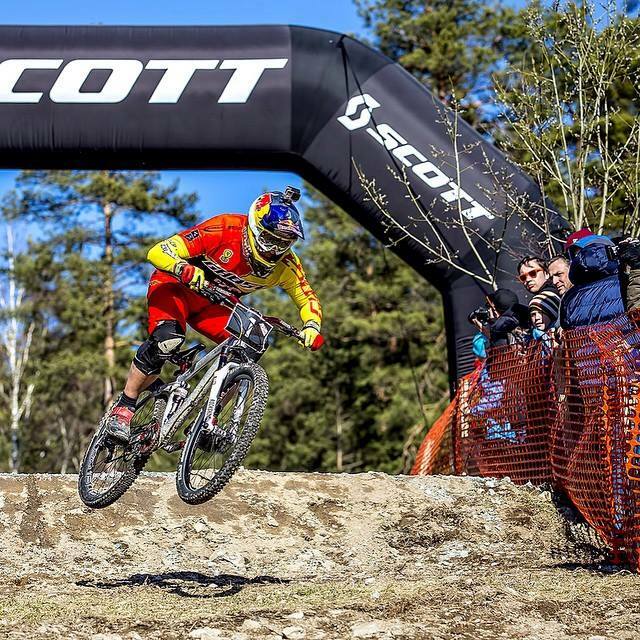 Tomas Slavik was able to take a win on historically first MTB Dual Slalom event as a part of Clash Of Nations in Falun, Sweden. 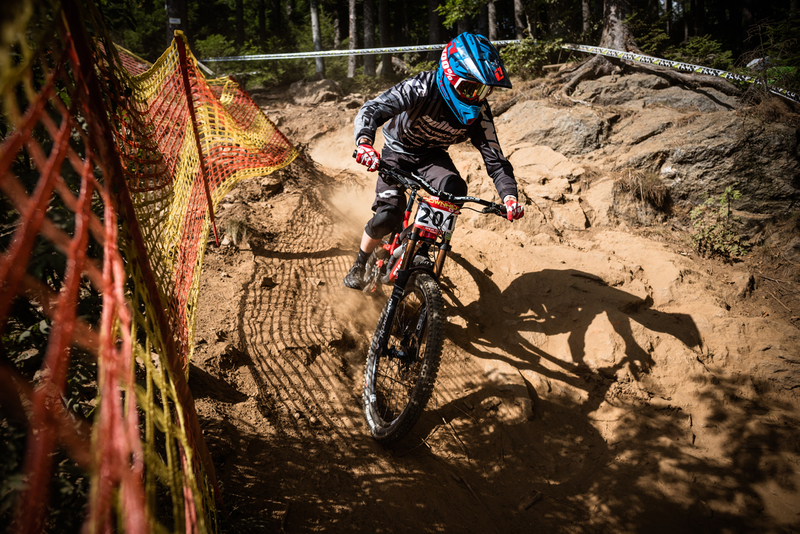 Fast riders, wild track and massive crowd – this is 3 things which are describing MTB Dual Slalom in Falun the most! 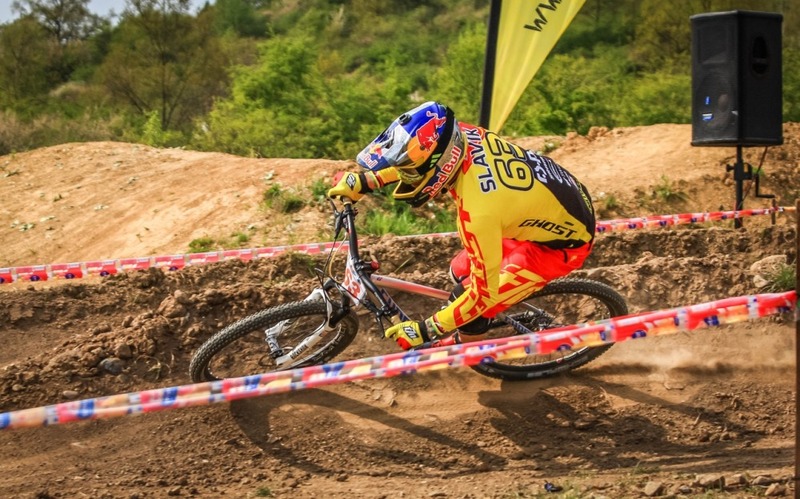 Its been a while when Slavik was racing his last Dual Slalom race, but he was looking very fast and confident. 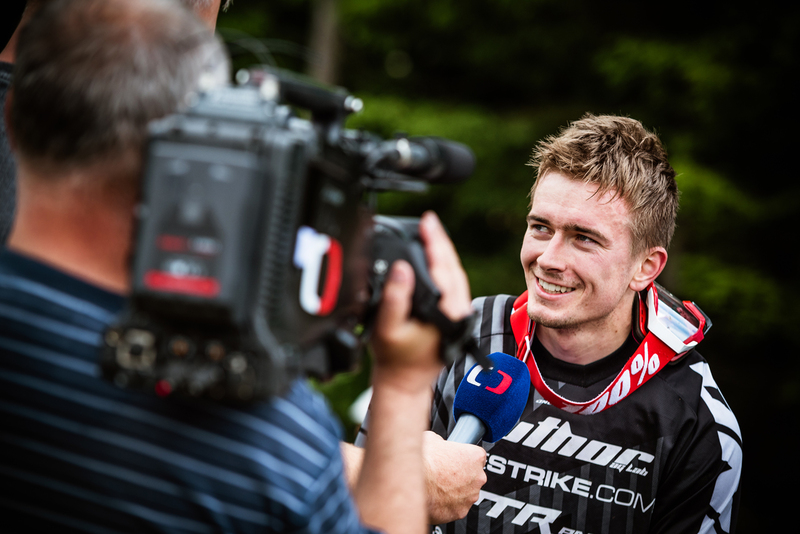 In qualy he took 2nd spot behind Johannes Fischbach who set up the fastest time. 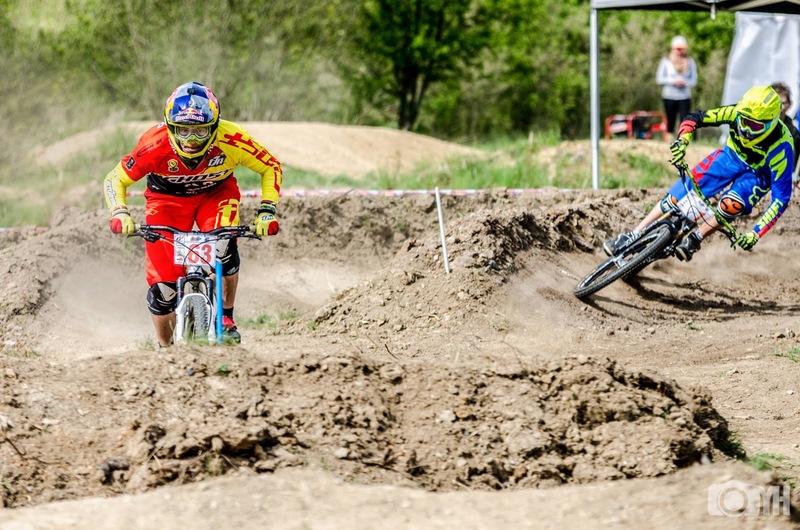 In final round it was Fischbach standing against Slavik – two big rivals back in the day on fourcross World Cups. When the gate dropped it was battle side by side and elbow to elbow until first rock garden, where Slavik got out in front of Fischbach, who wasn’t giving up and was chasing Slavik all the way down. Slavik crossed the finish line at 1st spot, Fischbach in 2nd and 3rd spot went to local Emil Jonnson. Slavik and Valparaiso – drama until the end! 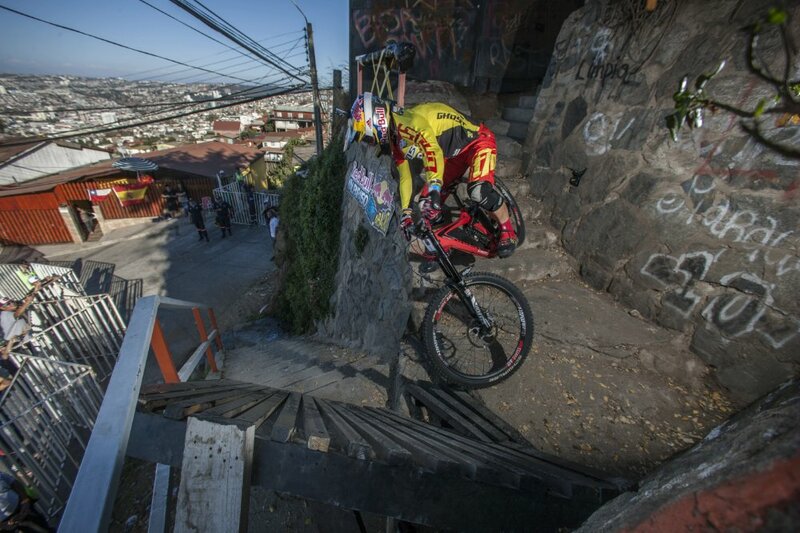 Next stop of City Downhill World Tour in Valparaiso, Chile is behind us. 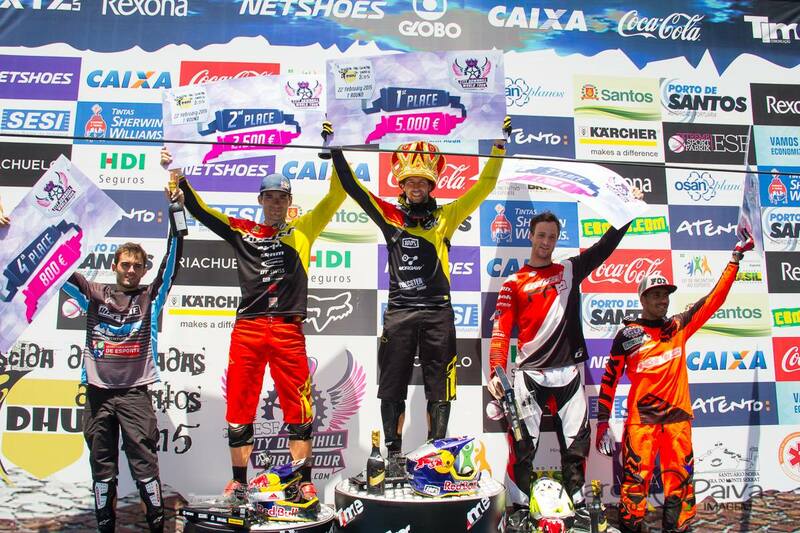 Top 42 invited riders were fighting for a win at this prestigious event called Redbull Valparaiso Cerro Abajo 2015. 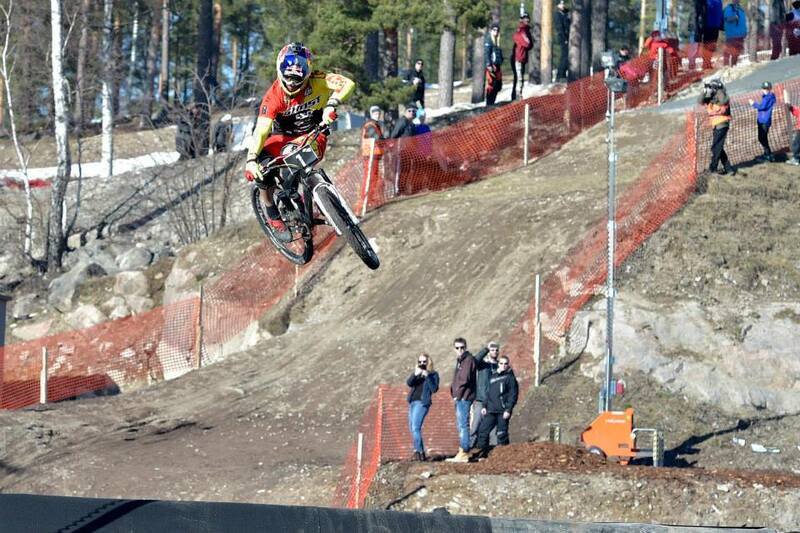 On the brand new track and in front of 25 000 people cheering the massive drama was going on. 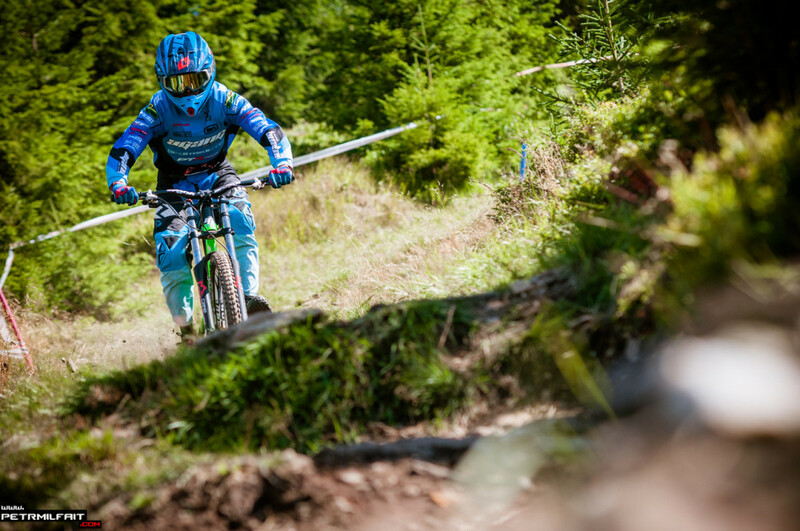 The fastest during qualification was Tomas Slavik with over 5 seconds lead in front of Fischbach and Polc. 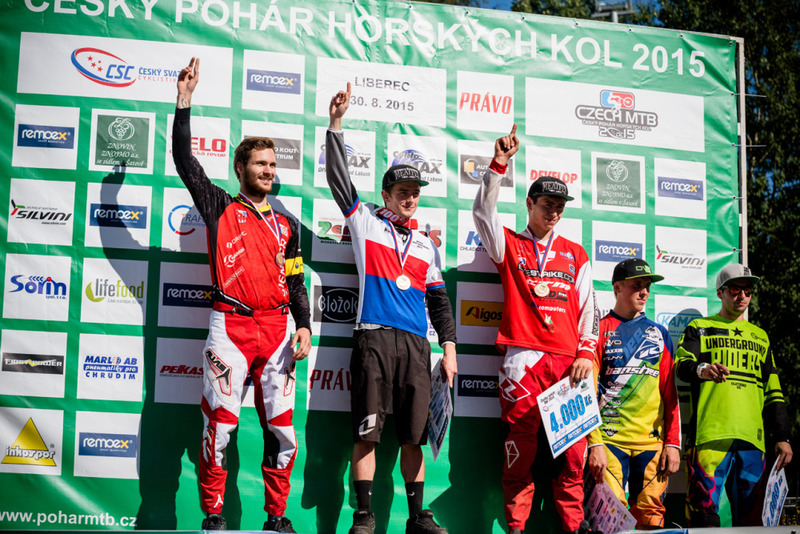 During finals it was defending champion Polc who set up the fastest time in front of german racer Fischbach. 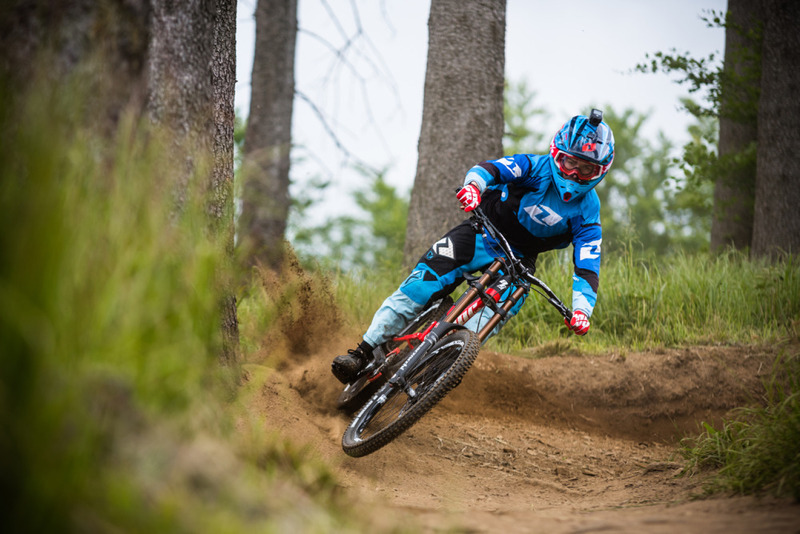 Only rider left on the hill was Tomas Slavik. Question was if he can get any faster and beat the leaders time. 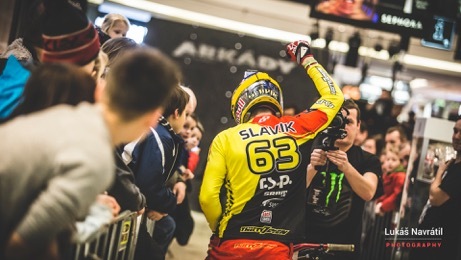 Slavik was pinning it hard through the whole track and massive crowd was cheering for him, but at the end just 0,2 seconds he looses his fight with clock and ends on 2nd place. Really tight fight in between Tomas Slavik and Filip Polc was going on at Santos (BRA) at the first stop of City DH World Tour. At the end Slavik took 2nd spot by only 0,09 s!!! 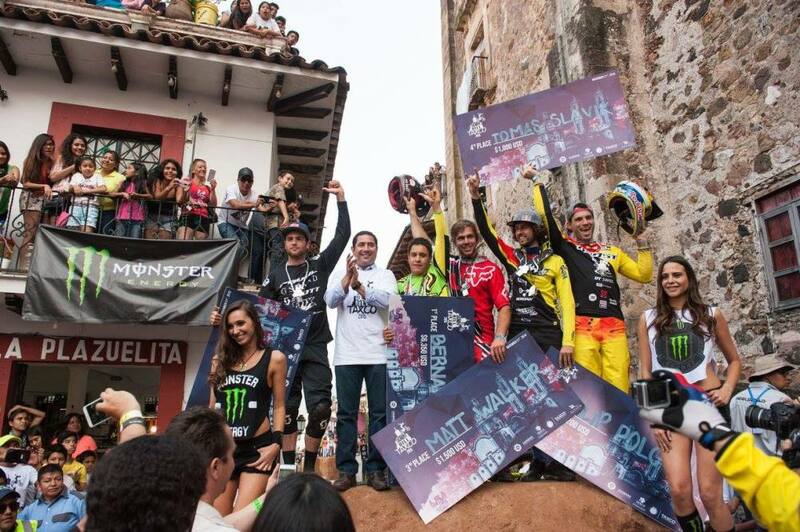 Same as last year City DH World Tour was starting at Santos, Brazil. Most difficult and intense trak of the Tourd. 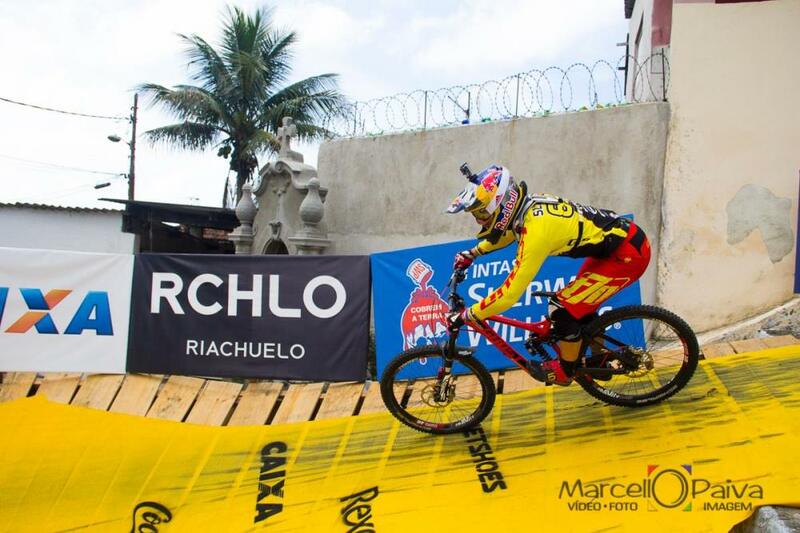 High speed, big compressions, narrow parts and many more difficult obstacles. 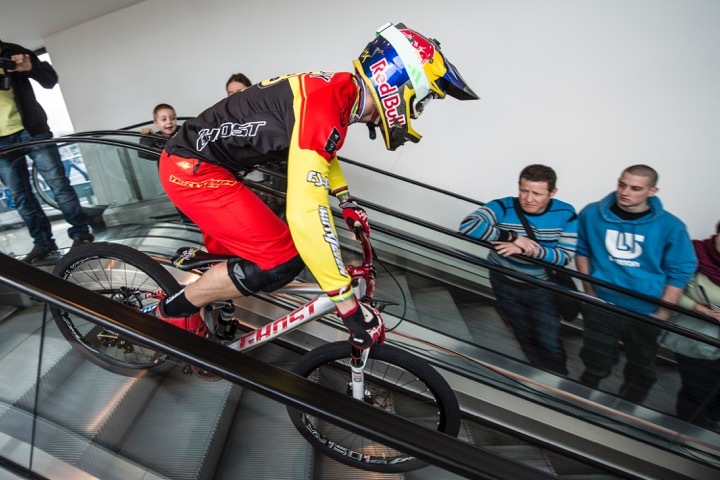 This is the real test of equipment and skills of all riders. 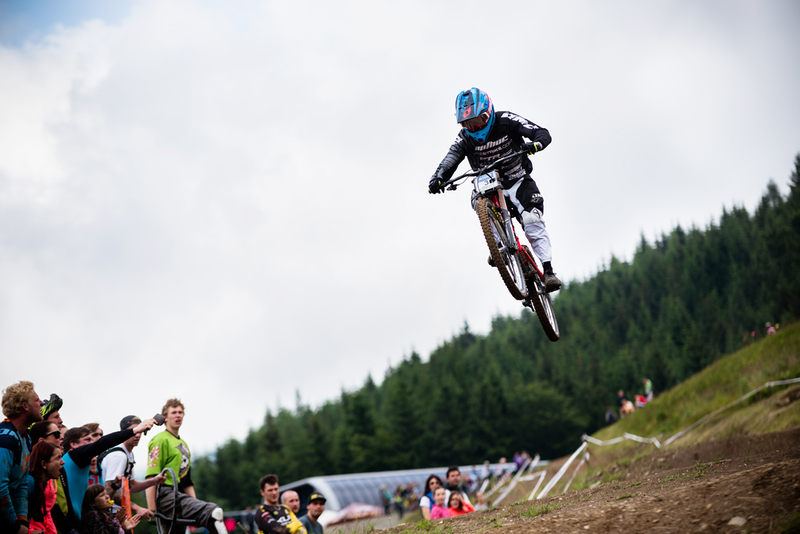 Tomas Slavik was the fastest during saturdays qualifying where Filip Polc was ending up with almost same time. 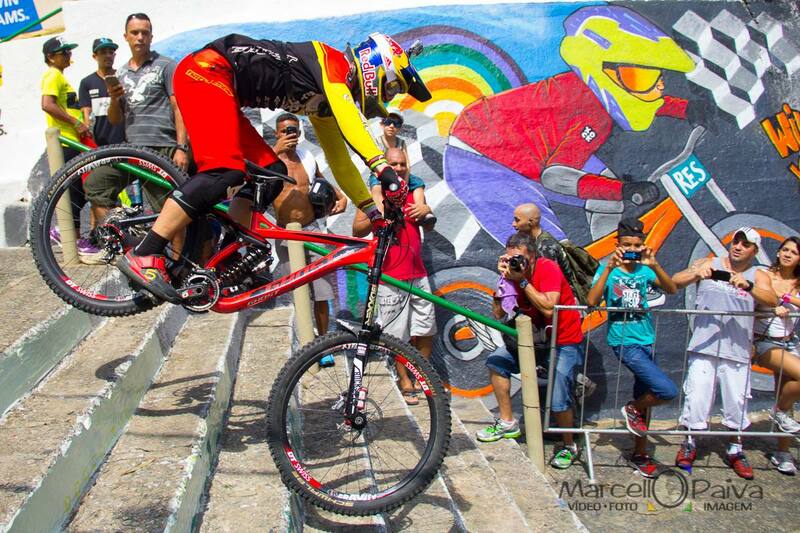 Drama was going on at sundays finals which was broadcasted at Globo TV and over 10 milion people were watching. Slavik was really fast on all splits and speed trap, but at the bottom of the track he made huge mistake which cost him almost one second. At the end he ended up on 2nd spot by 0,09 s behind Polc. 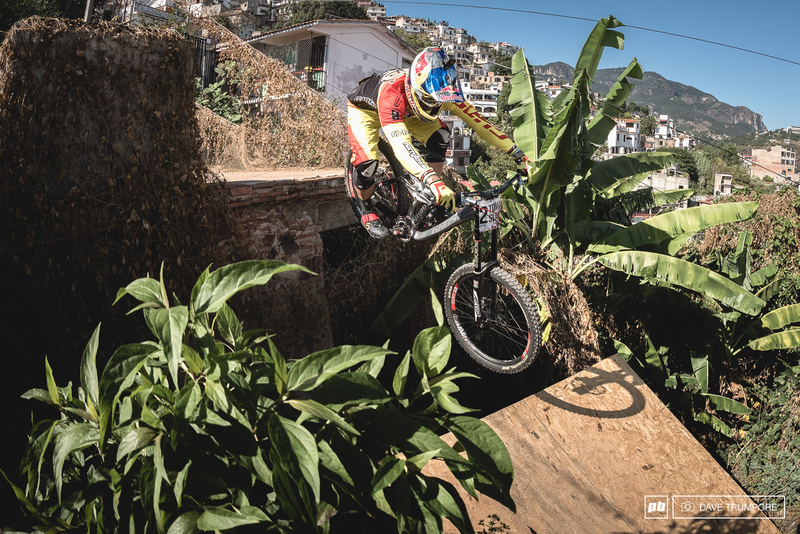 Tomas Slavik is right now with his team mate Johannes Fischbach in Rio de Janeiro shredding the local DH tracks and getting ready for the next stop in Chile. Tomas Slavik made it and became Downmall Tour 2015 champion! 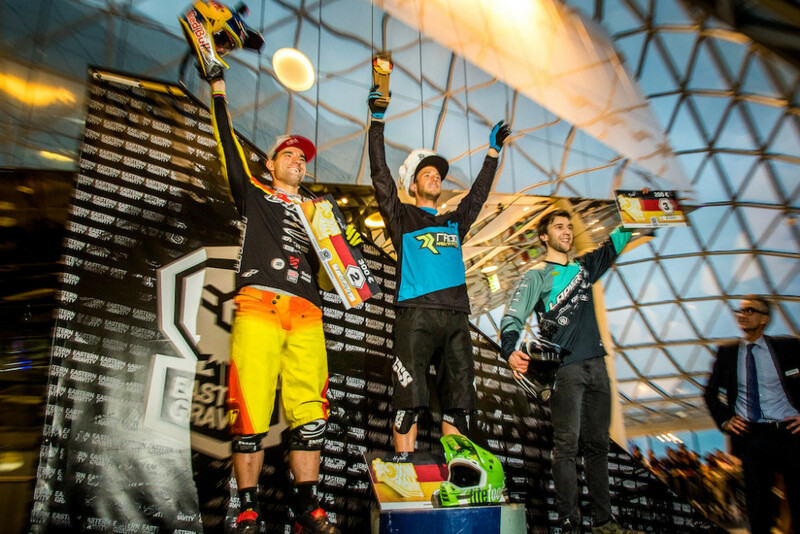 Tomas Slavik was able to take a win in final round of Downmall Tour 2015 in Prague and took also overall win in series. 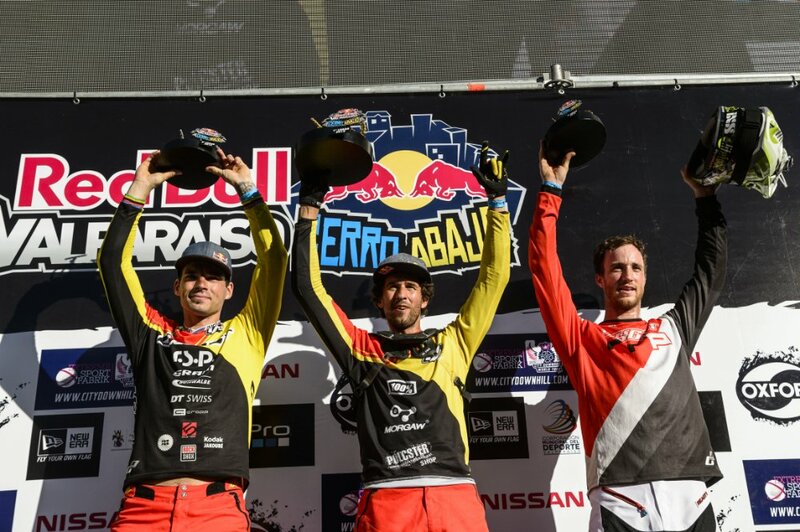 3 races, 3 wins and overall title – mission complete. 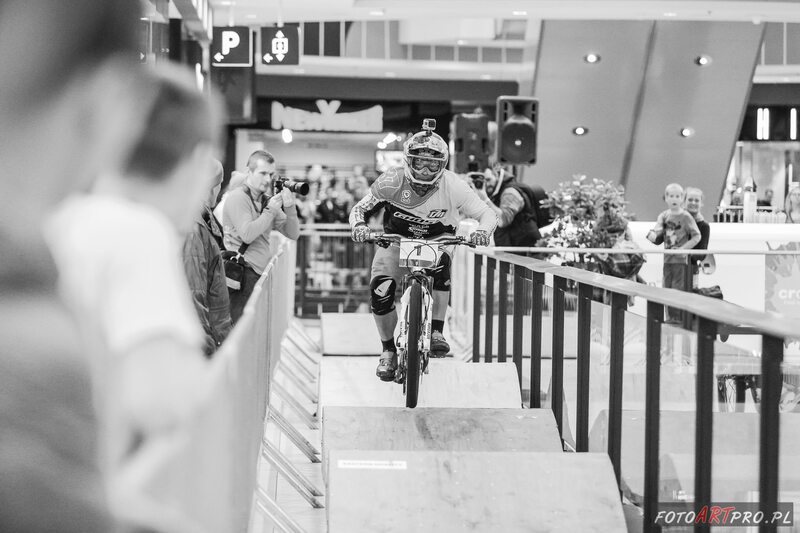 Riders and spectators were really looking forward for final round of Downmall Tour 2015 in Prague. 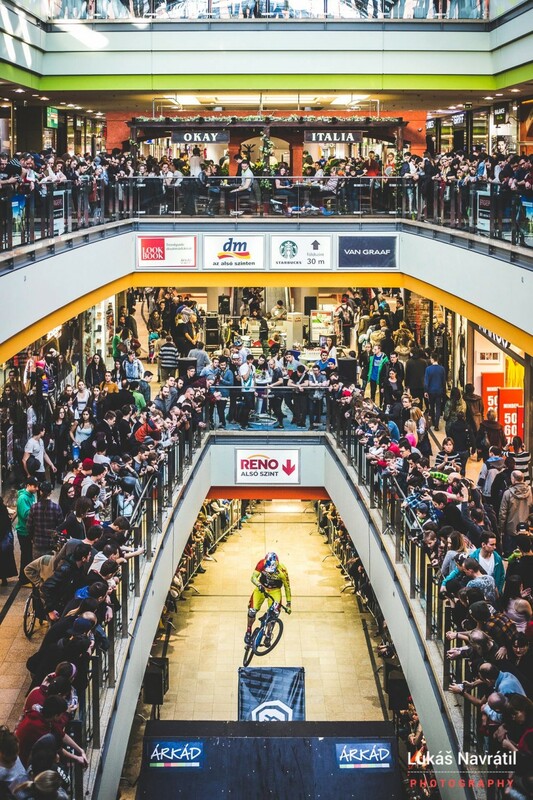 Track is always bigger and the atmosphere is amazing, but this year it was something special and we have never witness atmosphere like that in shopping mall. 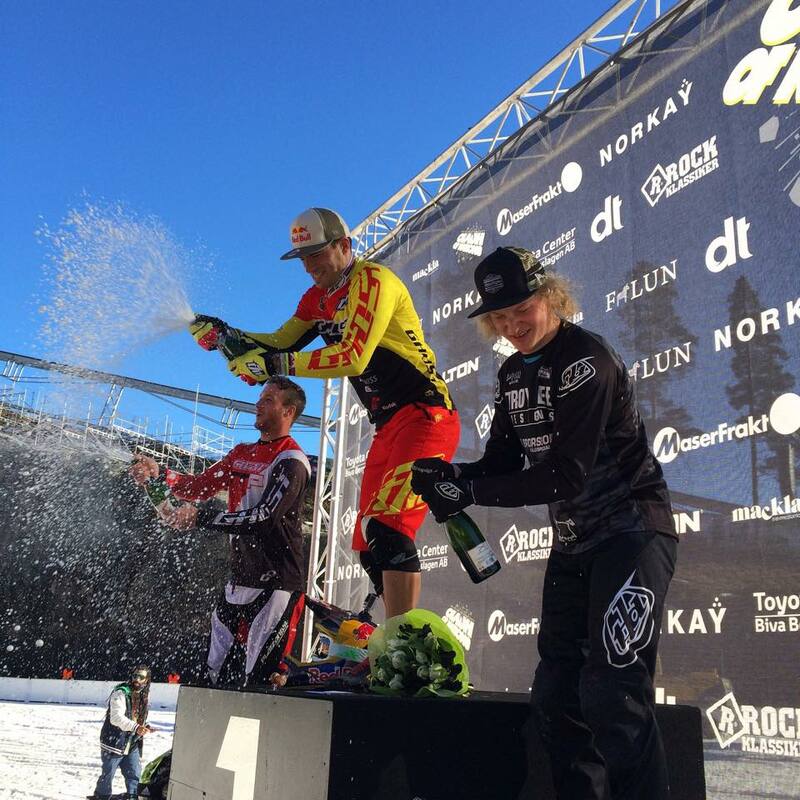 For Slavik it was important race on a home soil in front of home crowd. As expected it was fight in between this three names: Prokop, Fischbach and Slavik. 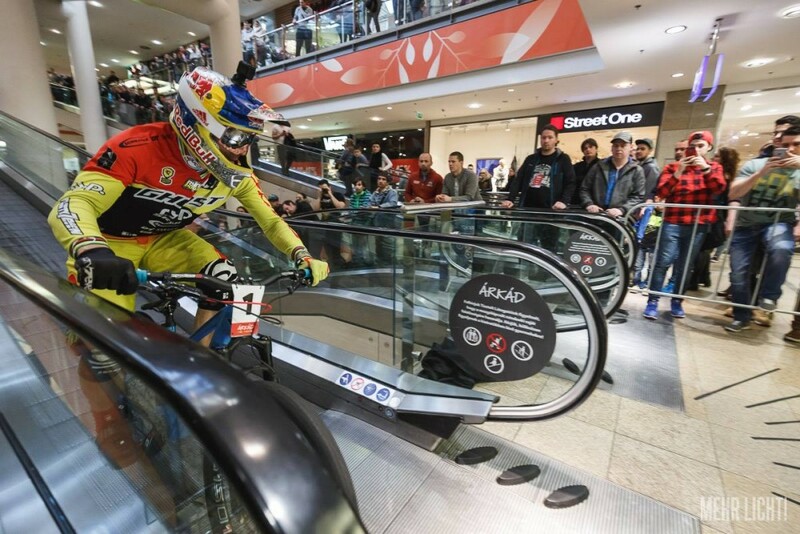 At the end Slavik was the fastest rider by 0,79 s in front of Fischbach and shopping mall was about to explode. One series came to an end and another starts. 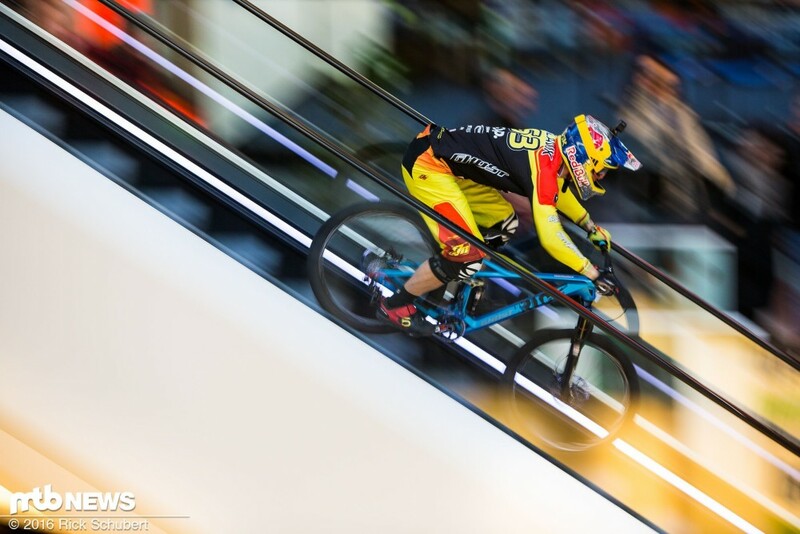 Slavik is flying on thursday to Chile for first races of City Downhill World Tour. For videos, fotos and more information from South America follow this social networks. 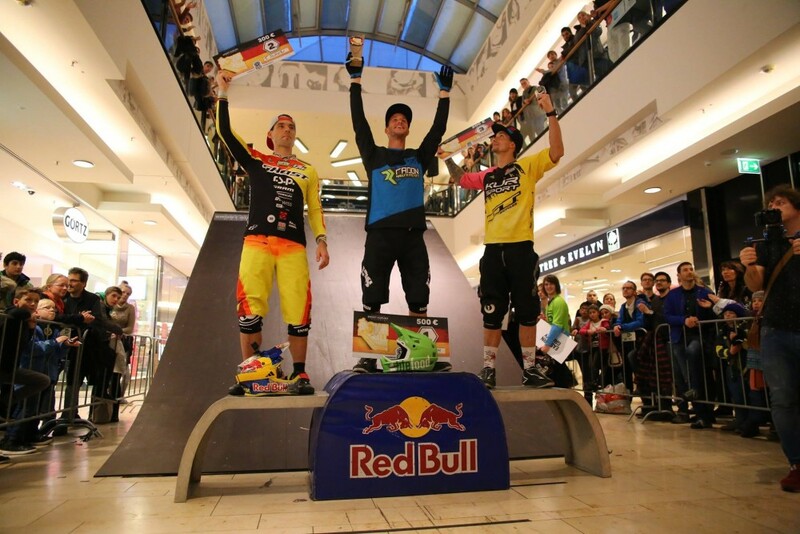 Tomas Slavik wins again at second round of Downmall Tour 2015! 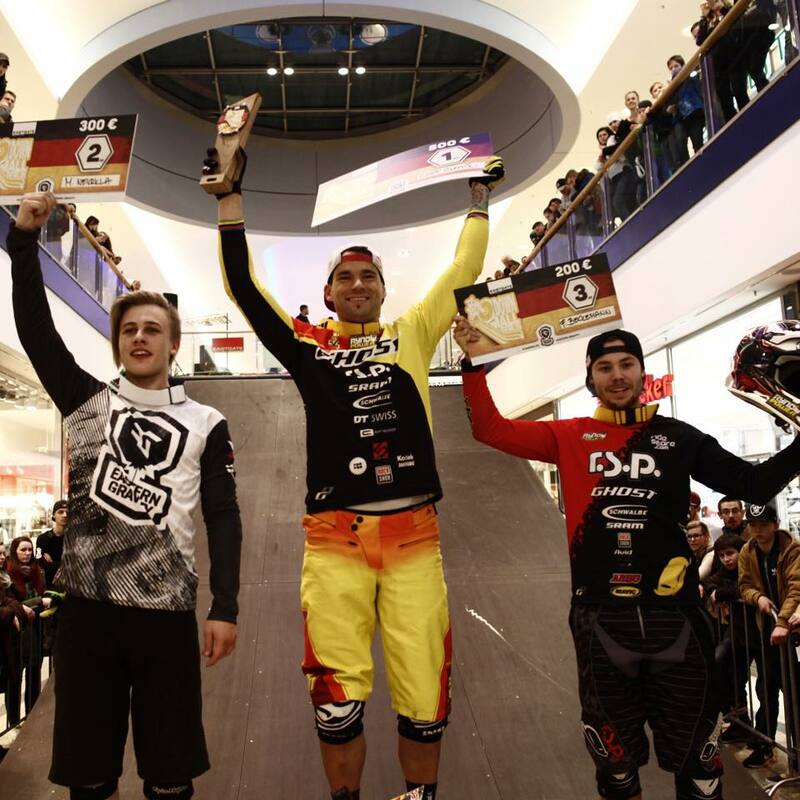 Tomas Slavik brought home another win from second round Downmall Tour 2015 Berlin, Germany. This result underlined his leading position in overall standings and he is coming to final round with quite good points lead. 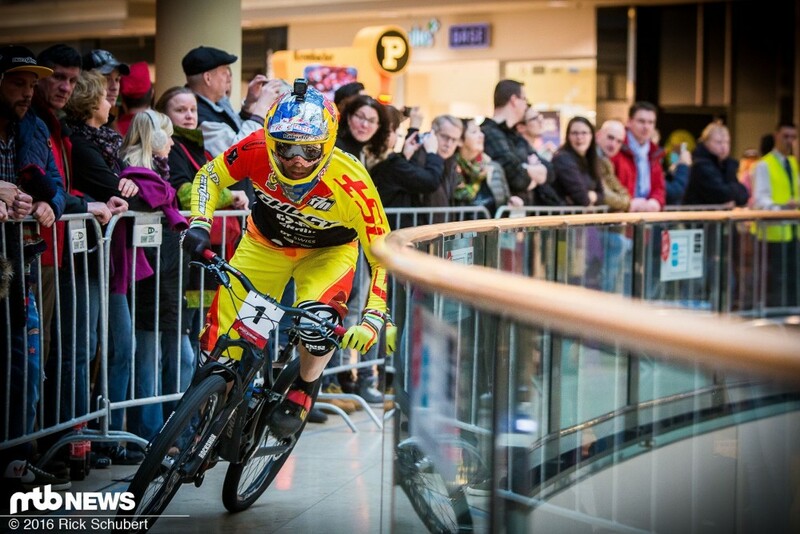 He is the biggest favourite for taking the win in Prague this week and taking the overall title as well. 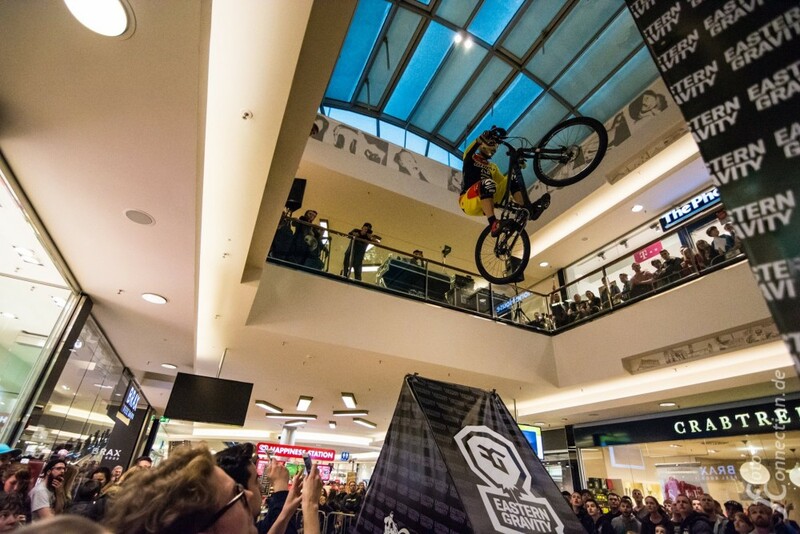 Final round of Downmall Tour 2015 is taking place in Prague this week. Not to miss it you can watch it live at FANDA TV or NOVA SPORT. 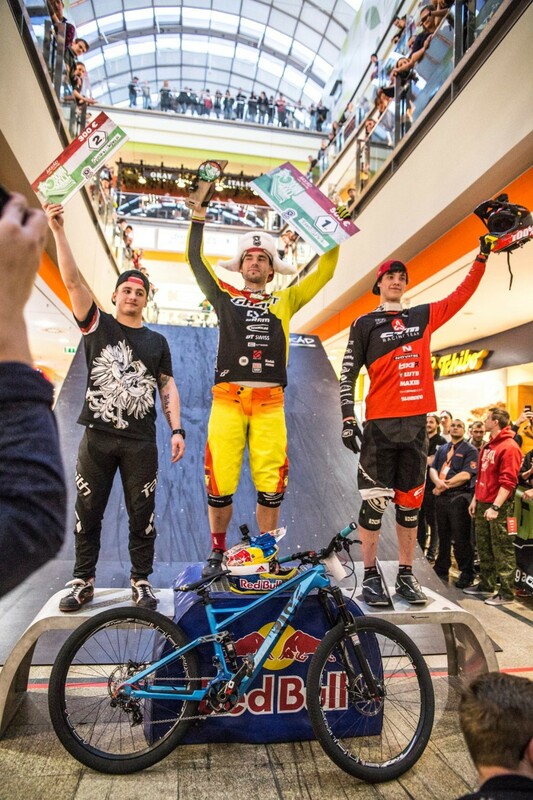 Tomas Slavik took a win at first stop of Downmall Tour 2015 in Poland, Szczecin! 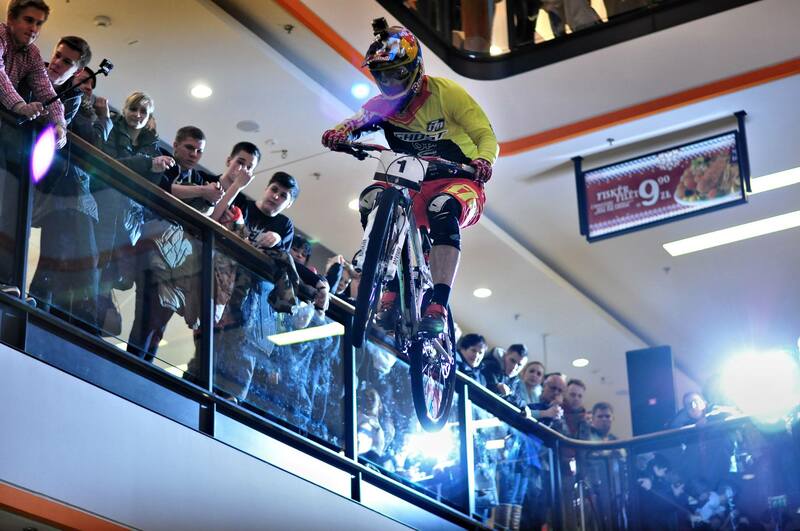 Big news for MTB 2015 season is fact that Eastern Gravity agency started up a series called Downmall Tour 2015 which count 3 rounds – Poland, Germany and final round in Czech Republic. 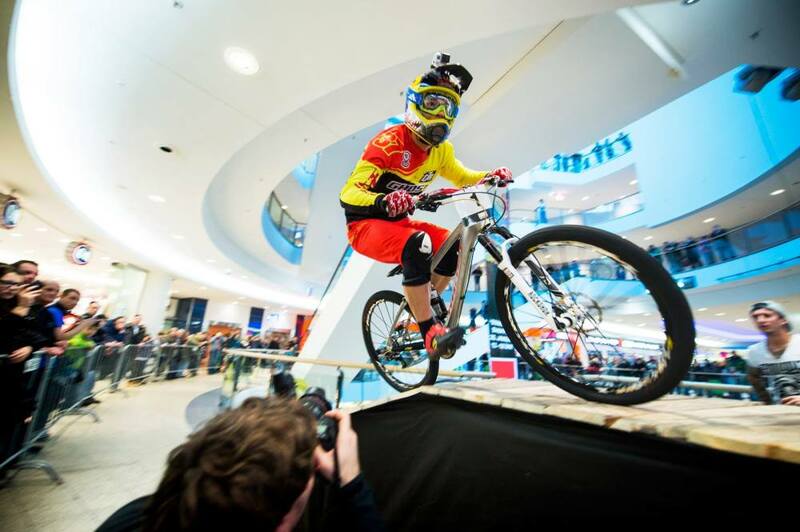 Tomas Slavik is a hot favourite for this Tour and will be taking part in all rounds of Downmall Tour 2015. 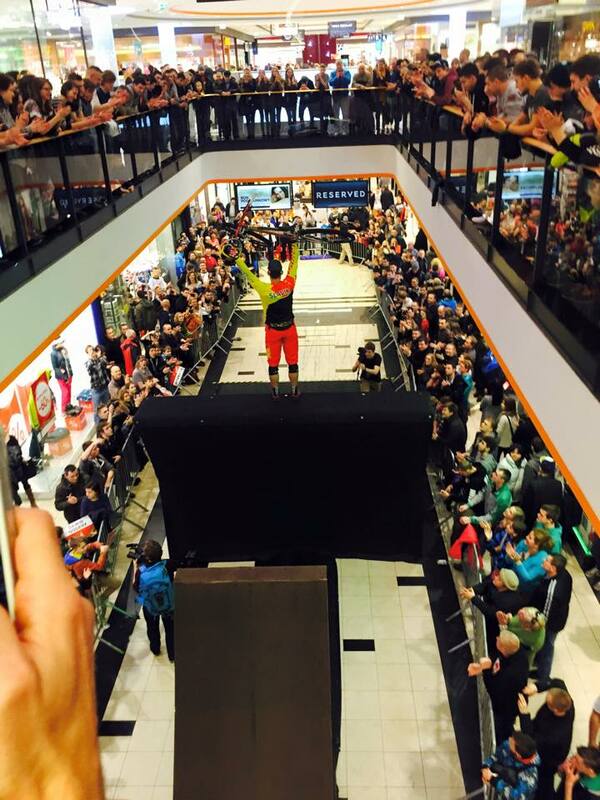 In Poland Slavik rocked the shopping mall with fastest times in all racing round and took well deserved win in front of big polish crowd. 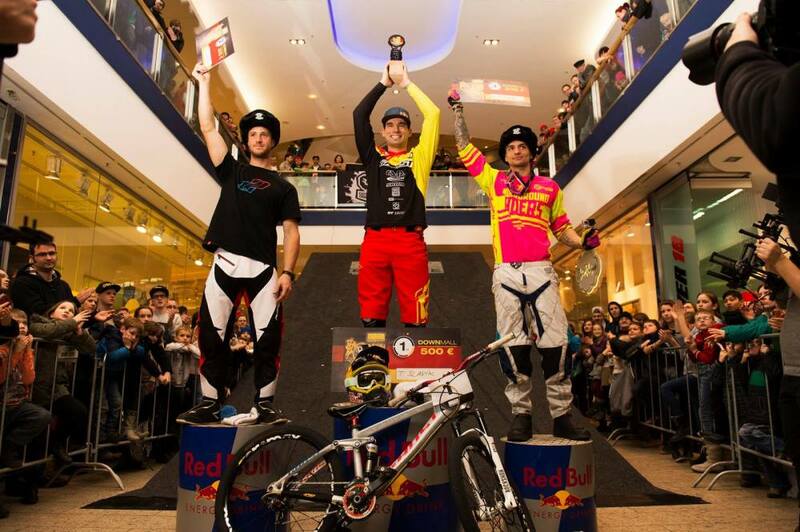 Tomas Slavik took 3rd spot at Mexico and ended up 3rd overall at WORLD TOUR! 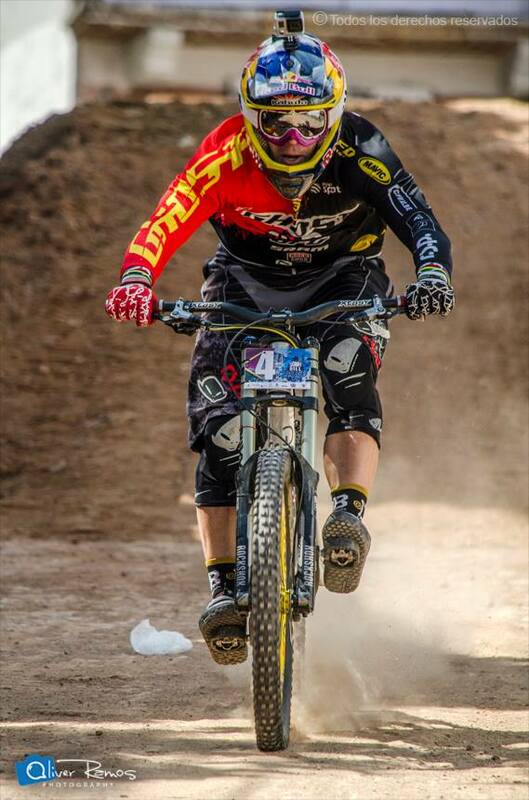 Last weekend Tomas Slavik was taking part in his last race of a season. 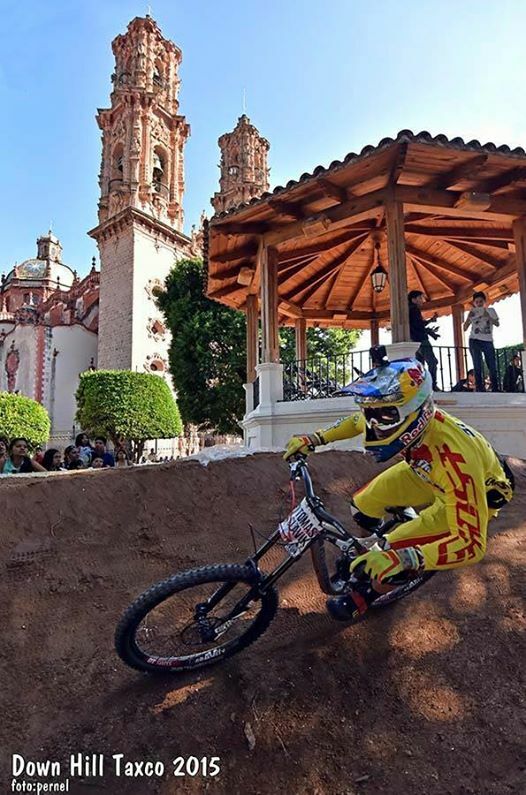 4th round of City Downhill World Tour at Taxco, Mexico. 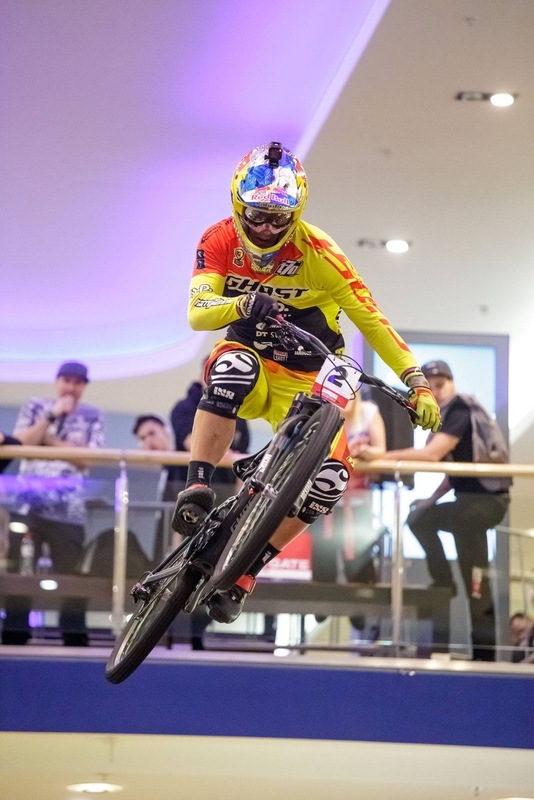 In between the fastest urban racers all over the world Slavik was able to get 3rd what gave him enough points for 3rd place at City Downhill World Tour overall! 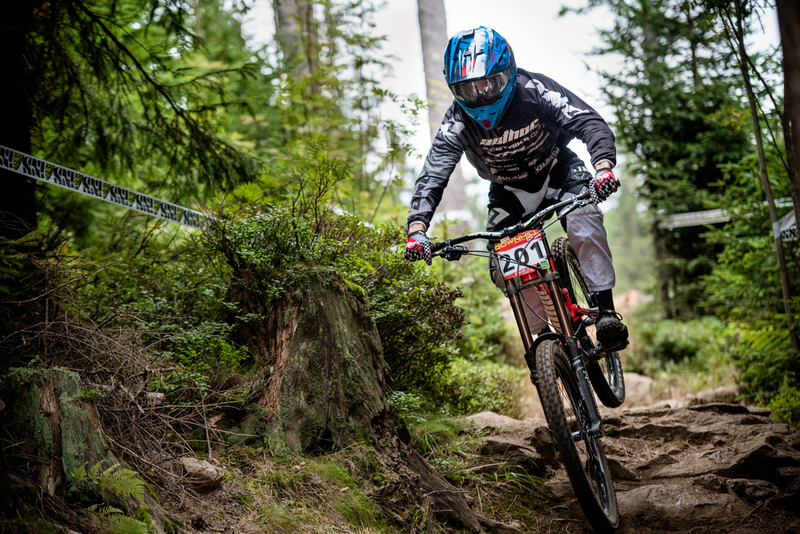 The third round of Czech Downhill Cup was held in Spindleruv Mlyn. 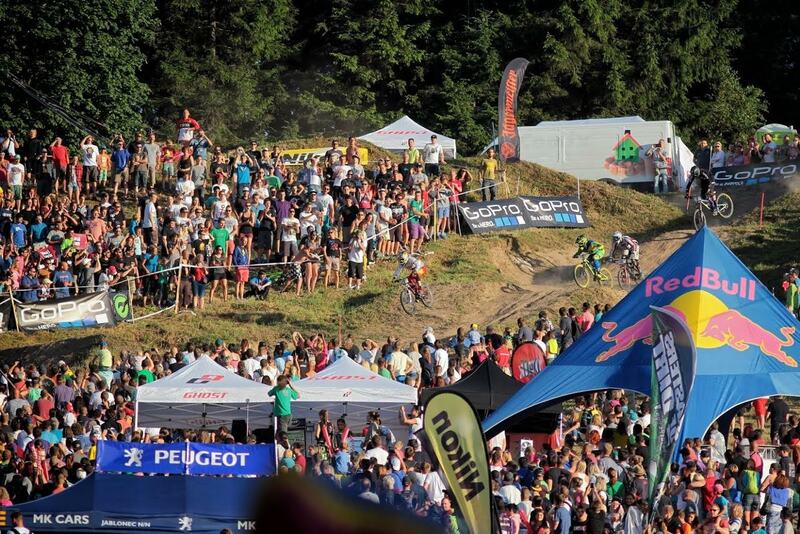 The weather was sunny whole weekend and the most fans came to technical section before finish.